Face and eyebrow: All eyes are on you. With RENUDE’s facial waxing services, you can accentuate your arches or remove unwanted facial hair. 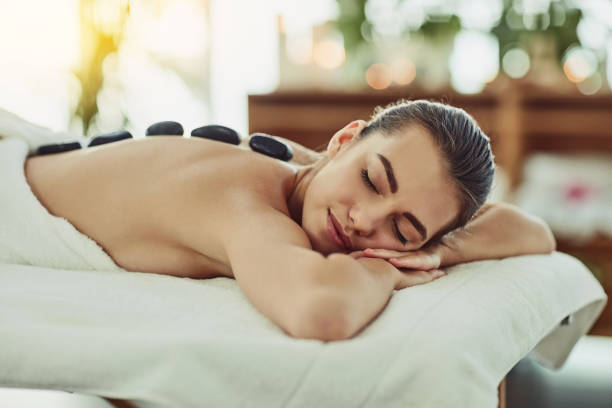 Bikini: Our professional bikini waxing service help you keep smooth, clean lines during bikini season, or any other season, for that matter. Body: RENUDE’s waxing professionals can help you keep any part of your body smooth and soft. RENUDE is proud to offer a full suite of luxurious skin treatments that will leave you feeling relaxed and pampered. We offer a range of services to keep your face and body healthy and glowing. Body Scrubs: Treat your body to all out luxury with a body scrub. A body scrub from RENUDE is a full sensory experience. Our natural scrubs are offered in an array of delectable fragrances that will ignite your senses and will leave your skin feeling silky smooth and rejuvenated. Facials: We offer customized facials to fit any skin needs, concerns, and types. Our skincare specialists will work with you to customize a treatment for you. Get a full, natural looking brow with one of the hottest beauty procedures on the market, microblading. Using a semi-permanent and completely safe cosmetic grade pigment, our expert estheticians will fill in your brows with a pattern of lines that mimics your brow’s natural growth to give you a natural, fuller-looking brow that blends into your existing hair. Our work is meticulous, and we will get your approval continuously throughout the shaping and filling process to assure your satisfaction. 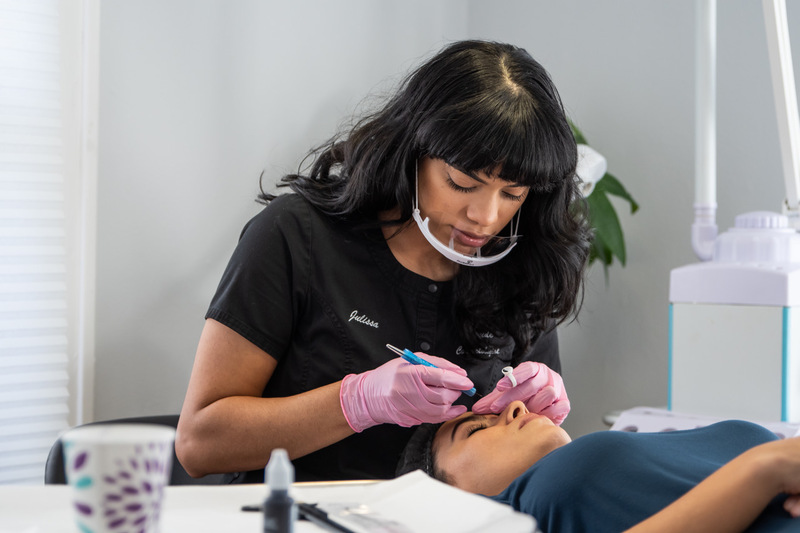 Microblading takes about 60 minutes, and we will guide you through complete post-application care instructions so you can maximize your results.